Donald Trump has finally chosen his running mate, but after all the anticipation, many are left concerned by the official announcement. Not only does Indiana Gov. 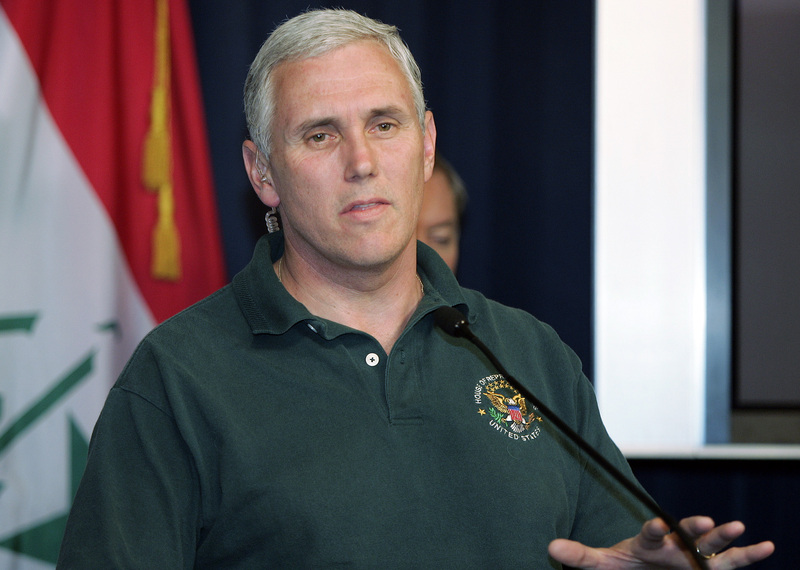 Mike Pence have a pretty strong reputation for extremely conservative views on abortion, mandatory minimum drug laws, and LGBTQ discrimination, but that holds for other policies, as well — for example, Pence's extreme stance on refugees. In the wake of the horrific attacks in Paris, effective immediately, I am directing all state agencies to suspend the resettlement of additional Syrian refugees in the state of Indiana pending assurances from the federal government that proper security measures have been achieved. Pence, along with governors of a number of other (mostly) red states, held that President Obama hasn't done enough to screen the people coming into the United States from the civil war-torn Middle Eastern country. The concern spiked after there was speculation that the terrorist responsible for the Paris attack may have posed as a Syrian refugee. Pence tried to halt federal funds from going to immigration groups that helped Syrian refugees resettle in Indiana. Unsurprisingly, based on his own vocal anti-immigration rhetoric, Trump supported the governors' effort to block Syrian refugees. He said the United States would "have to be insane" to take in Syrian refugees at a rally in Beaumont, Texas, last November. But in an effort to defend this population, a nonprofit refugee aid organization, Exodus Refugee Immigration, took Indiana to task in a lawsuit insisting the governor couldn't block federal funds. U.S. District Judge Tanya Walton Pratt sided with Exodus Refugee Immigration and in February, declared Pence's actions to be unlawful, stating: "The withholding of funds from Exodus that are meant to provide social services to Syrian refugees in no way directly, or even indirectly, promotes the safety of Indiana citizens. ... The state’s conduct clearly constitutes national origin discrimination." As far as playing to the Republican base is concerned, Gov. Pence looks to be a solid choice. However, the leader of the state ironically nicknamed the "Crossroads of America" doesn't seem to be all that welcoming.